LOS ANGELES - Feb. 25, 2019 - PRLog -- World Cup Champion and Italian great Alessandro Del Piero has announced his ownership stake in L.A. 10 FC, the club confirmed on Feb. 24. Del Piero, 44, played for Italy in three FIFA World Cups (1998, '02 & '06) and now steps into a new role with L.A. 10 FC, which is fresh off an unbeaten 2018 Fall Season to earn promotion to the United Premier Soccer League (UPSL) Pro Premier SoCal Division. 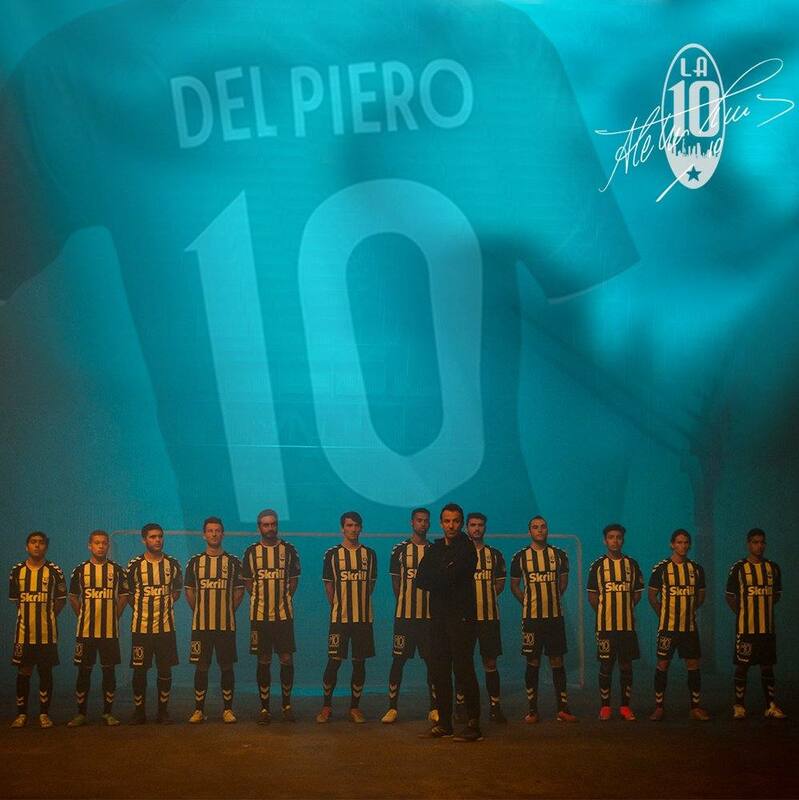 "After a period of anonymity (you know me, I like privacy), I decided to share this beautiful experience and give credit to the entire team for the amazing results they've achieved in partnership with EDGE Americas Sports, of which I am a co-founder, and my business partner, Jeffrey Whalen," Del Piero wrote on his website. In 2018, the club rebranded to become L.A. 10 FC and better reflect Del Piero's influence. "This is an exciting moment for the club and we think this is an important moment for the UPSL and for lower division soccer in America. Alessandro is a great ambassador for the game and will bring a presence and globally-recognized name to everything the L.A. 10 FC is doing from this point forward," Whalen said. A former Juventus captain and two-time Serie A Footballer of the Year (1998, 2008), Del Piero has become equally well known for his business savvy leading to the opening of his famed 'No10' restaurant in Beverly Hills, a broadcast contract with Sky Italia, and the fast-growing influence of the Los Angeles-based sports agency he co-owns with Whalen, EDGE America Sports. One of the all-time leaders in goals in Italy's Serie A across 22 seasons, Del Piero was selected to the FIFA 100, a list of the greatest living footballers, and was also voted into the UEFA Golden Ball Jubilee Poll, a lists of the 50 best European players of the last 50 years. He scored 234 goals across 585 professional appearances for four clubs, and had 27 goals for the Italian National Team from 1995-'08. L.A. 10 FC is an American Soccer club currently based in Woodland Hills, Calif., and a member of the United Premier Soccer League. L.A. 10 FC began play in the UPSL Championship before earning promotion to the UPSL Pro Premier for the 2019 Spring Season. Founded in 2016, L.A. 10 FC can participate in the qualifying rounds for the Lamar Hunt U.S. Open Cup through their affiliation and membership with the UPSL, the U.S. Soccer Federation (USSF) and the United States Adult Soccer Association (USASA).